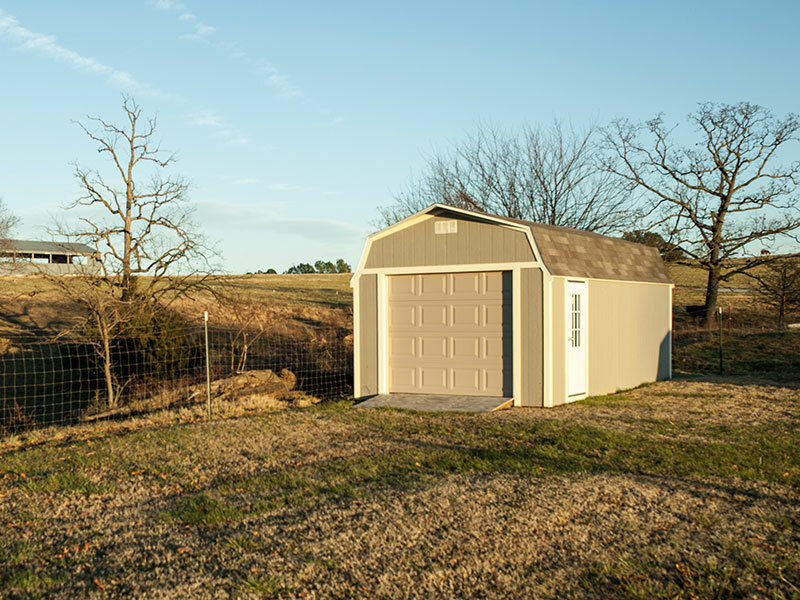 The Crestwood Prefab Garages are a great option for farmers who need more storage for equipment or for homeowners needing to store their lawnmowers, ATVs, or even a vehicle. 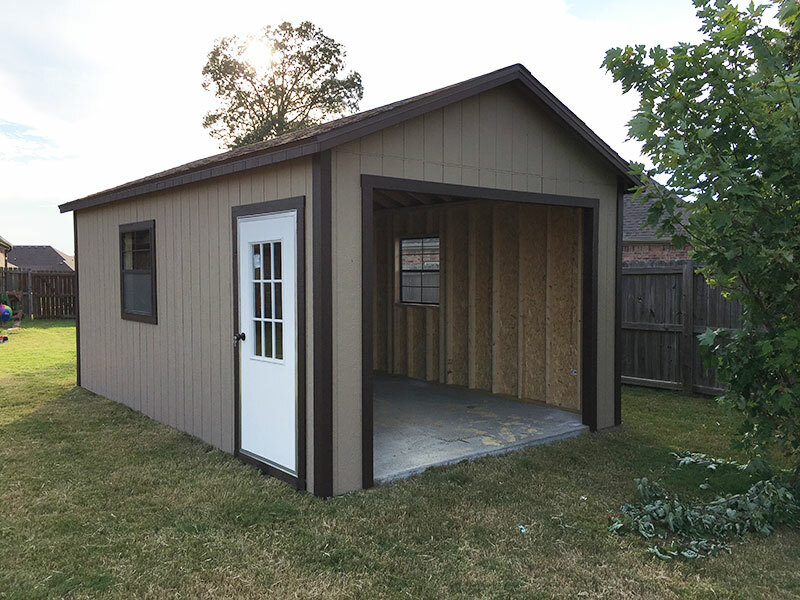 With our commitment to customizing to your style, you’ll be able to get a custom prefab garage that matches your house colors at a price that won’t break your bank account. These garages come standard with floors runners spaced 16”. For heavy equipment storage we encourage upgrading to 12” spacing. Other standard features include: (1)Garage door, a 36″ walk door, diamond plate thresholds, and (1) 36″ window. Adding a ramp is a great option for ease of moving equipment in and out. We also offer on-site building for our prefab garages with the option of a concrete foundation and floor. Additional on-site charges will apply. 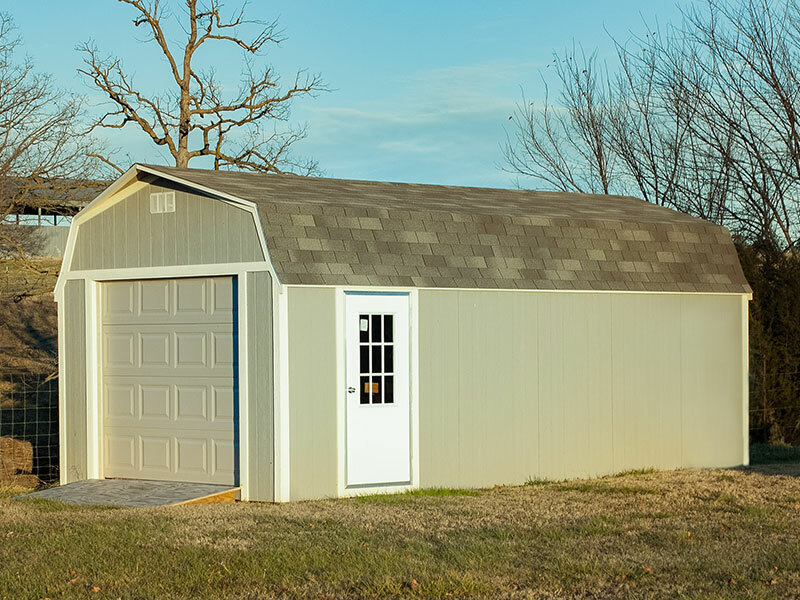 Our Prefab Garages Can Be Delivered To You For As Low As $4,797. Our standard prefab garage comes as a metal A-frame building. 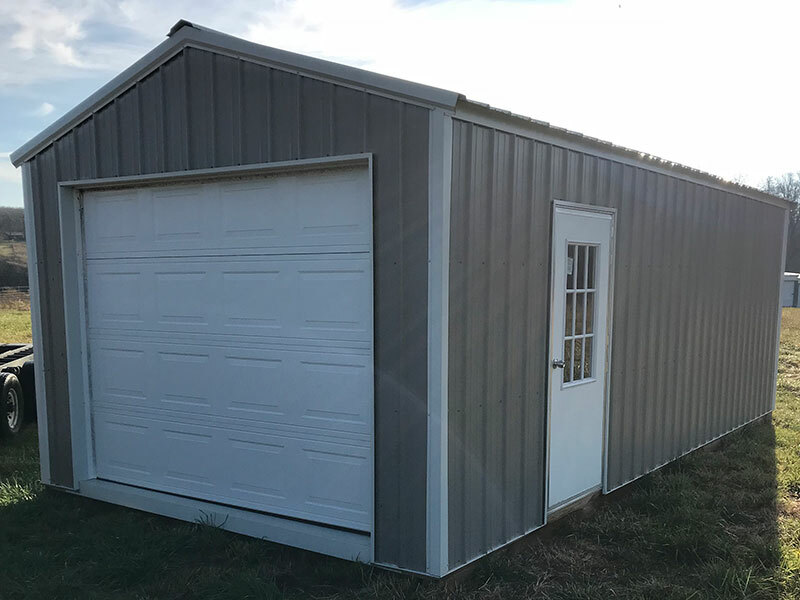 However, if you like one of our other metal sheds or wood shed styles you can order one of those with a garage door added on for your own garage your way. Our commitment to customer customizing makes this possible.